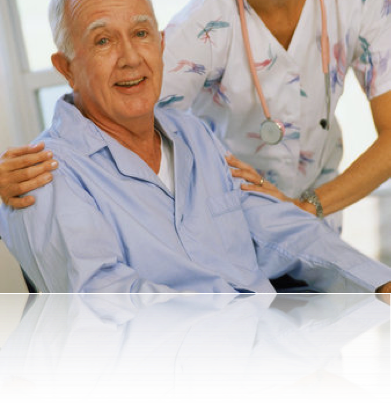 ESI Medical's Home Health Care Service has been built on the foundation of hiring the best caregivers in the field. Whether it is care from a nurse, home health aide, or companion, we pride ourselves in knowing that our employees have gone through a thorough screening process, and that they are in the healthcare field because they desire to help people. We treat all our clients like they are part of our family. Being physician owned has allowed us to gain a unique perspective on care, and allows us to truly understand our client's medical and social conditions. We screen our caregivers and clients to find their likes and dislikes, and then match them up after an initial interview. We understand that welcoming someone into your home to help can take some getting used to, and we will be there for our clients to make the transition as smooth as possible. ESI Medical understands the importance of providing care and support for your loved ones. As a trusted home care provider, our services are designed to ensure continuity of care in the comforting surroundings of home. Whether you or a loved one is living with a chronic condition, recovering from illness, or simply in need of daily assistance, ESI Medical can help. Our qualified nursing professionals specialize in providing around-the-clock care for adults and strive to preserve quality of life, while promoting independence and individual success. ESI Medical's healthcare staff is screened and credentialed and has experience providing care for adult and geriatric patients with a variety of ailments. We ensure our home care service is provided for the entire time it is needed and require that our care representatives are available 24 hours a day, seven days a week, so assistance is just a call away. At ESI Medical, we hold our selves to the highest standards for screening of our potential employees. All our workers are licensed and bonded, and all are employees of ESI Medical. Our staff undergoes a rigorous screening process.